DCMA and DCAA to Merge? Home News Archive DCMA and DCAA to Merge? We have reported several times on the Wartime Contracting Commission, that self-styled "bipartisan, independent entity charged with evaluating and reporting on America's wartime contracting for logistics, reconstruction, and security." 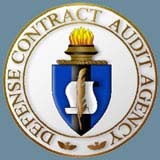 Reports are beginning to come out regarding the Commission's latest 2-day hearing on contractor business systems and DOD oversight -- and those reports indicate that the Commission thinks DCMA has failed in its oversight role and should possibly merge with DCAA in order to eliminate "dysfunctionality" between the two DOD agencies. For example, GovExec.com reports that "a lack of cooperation" between DCMA and DCAA "is hindering the oversight of contractors' business systems." The article states that "members of the commission accused DCMA ... of almost uniformly ignoring recommendations from DCAA with regard to the business systems of logistical support contractors," and always siding with contractors by ignoring DCAA audit findings. DCMA, for its part, blamed ambiguous regulations, according to the GovExec.com article, which quotes the DCMA representative as saying, "you can read the DMCA opinion and the DCAA opinion and take a look at what's in the regulations and there's a lot of room for interpretation." DCAA Director April Stephenson called for accountability for DCMA's decisions, according to the article, which also noted that she has shifted from her previous position that all of DCAA's recommendations should be mandatory for DCMA to implement. The Commission called for the dysfunctional relationship between DCAA and DCMA to come to an end and, according to the report, put the onus on DCMA to resolve the problems. Co-Chair Shays was quoted as saying, "both of you up there, you're on the same team, but it doesn't sound like it and it doesn't look like it. ... With no disrespect to [DCMA], we think there needs to be more adjustment on DCMA's part than on DCAA's part. I think that's fairly clear." Neither Shays nor his Co-Chair Michael Thibault (former Deputy Director of DCAA) addressed recent GAO findings on DCAA's lack of audit quality and independence. The three LOGCAP IV contractors under fire at the hearings (DynCorp International, KBR, Inc., and Fluor) seemed to concur with the Commission's assessment. The GovExec article quotes one representative as saying "a single voice from the government would be a great improvement. ... In my mind the issues we've had fall into a subjective evaluation process that leads to differences of opinion between the contractor and the government and between two government agencies. A single voice would lead to more timely determinations of adequacy." Although a recent Defense Science Board report blasted DOD's "risk averse" and bureaucratic culture as impeding meeting the urgent needs of warfighters, these types of comments and the resulting media reports will do nothing to reduce those impediments. To the contrary, the pressure and scrutiny that suddenly seems to be focused on DCMA should result into even less discretion afforded to contracting officers (and even less incentive to take risks) than is currently the case. See the GovExec.com article here.